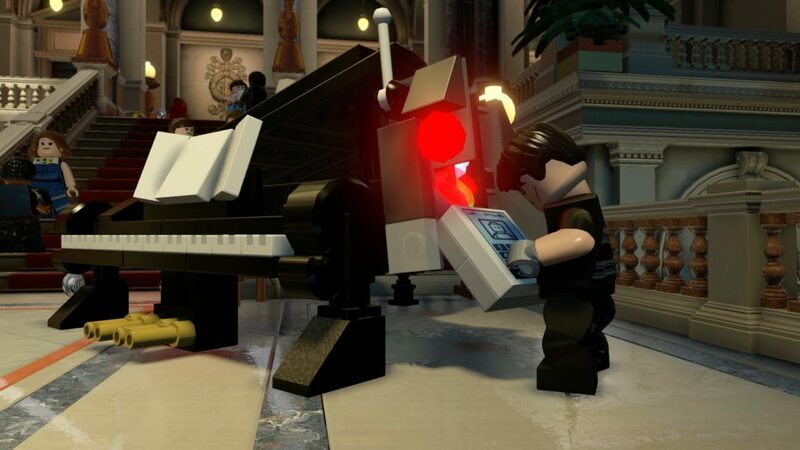 With Christmas right around the corner, some of you are probably trying to decide whether or not the LEGO Dimensions Year 2 offerings are worth putting under the tree. 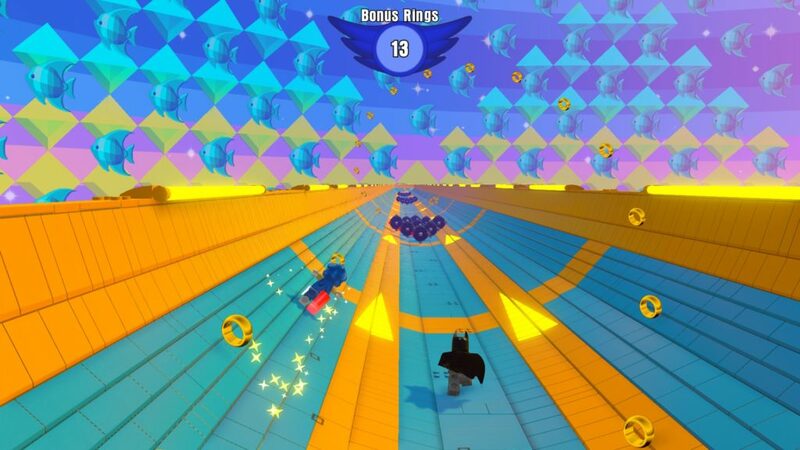 I’ll break it down for you, as I cover the new Level Packs for Sonic the Hedgehog, Adventure Time, and Mission: Impossible that were released in Waves 6 & 7 as attempted in co-op mode. My husband and I have both been gamers for as long as we can remember, and both of us have fond memories of playing Sonic the Hedgehog from way, way back. Sonic needs to keep Dr. Eggman from getting his hands on the Chaos Emeralds, and our quest to do so begins in the iconic Green Hill Zone. This first area of the level pack had us zipping around in loop de loops and I experienced a couple of weird glitches that I thought might be a nod to the past. Correcting the issue was usually accomplished by removing and returning my character to the portal or waiting for my husband to reach the next checkpoint. And then the level became extremely difficult to play with the split screen. Every time we reached a battle with Eggman it because impossible to accurately locate and target him with both of us on screen. So I would remove my minifig and let the husband tackle him alone. Another area that reminded me of the Sky Base Zone was okay to play when we were both climbing through the tower together, but “broke” when only one of us hopped in a plane to shoot at Eggman. I stayed in the tower to keep advancing and unlocking puzzles along the way, which was a bad move. The game crashed on us here, and when we reloaded and tried it again Eggman vanished and we were stuck. I checked a walkthrough to see how others had proceeded and then the game crashed again. So I kept myself off the board, the husband got through the area, and I watched while he finished the level and unlocked Super Sonic. I’m really hoping the Sonic level gets an update to fix the glitches and crashing issues we experienced. While I am disappointed this level didn’t truly support two player mode the way every other one has so far, I will eventually go back and replay it completely on my own later down the road. Since the Adventure Time Level and Team Packs came out with Wave 6 I have almost exclusively been using Lumpy Space Princess. LSP has the best lines and even though I’ve heard them a thousand times I’m still laughing. Her unique interactions with other characters from outside the Adventure Time universe are also fantastic and I look forward to eventually hearing every single one of them. 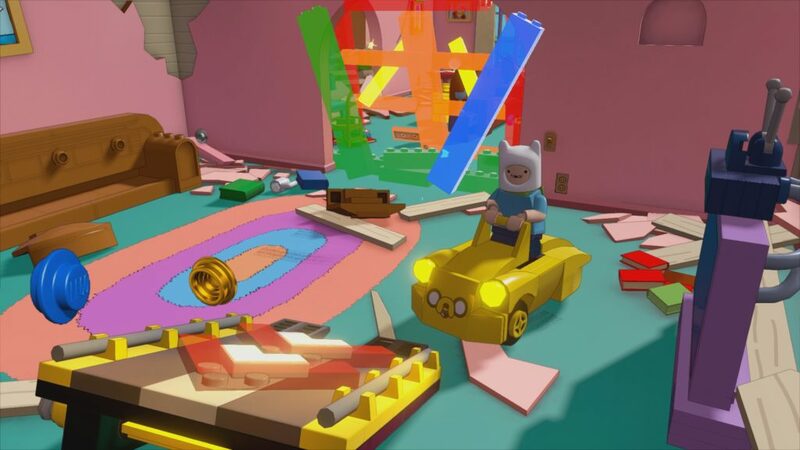 The Level Pack is based on Season 1’s fifth episode “The Enchiridion!”, in which Finn and Jake are tasked with finding the legendary book to prove they are righteous heroes. You’ll play through the episode, battling your way past those pesky gnomes, the ogre, and ultimately defeating the evil entity voiced by Mark Hamill. We had zero issues this time around. No weird problems with the boss “disappearing” from the smaller field of vision in splitscreen mode, which was such a relief. I haven’t fully explored the open World of Ooo, but I did run across Lumpy Space Princess’ camp complete with a can of beans over a firepit. It was slightly disappointing that she had nothing to say when I floated her past it, but hey, you can’t fit in every reference, right? I’m hoping to spot some more fun Easter Eggs when I go back to collect the remaining bricks. Definitely in love with this LEGO add-on. The last of the Level Packs, Mission: Impossible is definitely geared more toward the older gamer but kids should still enjoy this one. Based on the original Tom Cruise movie from 1996, you’ll primarily use Ethan Hunt to create explosions, slip on disguises, and control your drone to progress through the story. The entire level is voiced over using clips from the movie(s) which is OK but at times seem a little muffled or statical. But no one was really expecting Tom Cruise to record a fresh voice over. The Mission: Impossible level might not stand out as much as I’d hoped but at least it wasn’t plagued with the glitches and crashes we got with the Sonic Level Pack. That alone puts it in second place of my personal ranking this go around. I am looking forward to seeing how and where Ethan Hunt’s particular set of skills pop up throughout new locales in other Year 2 chapters. 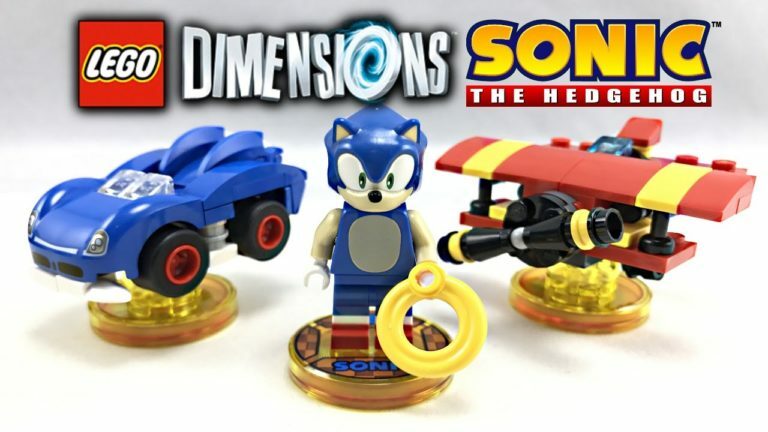 Overall, LEGO Dimensions’ Year 2 offerings have been great additions to the line-up, with several of the Year 2 characters making cameos in each of the new Level Packs that we’ve played. I’m super excited to see what new Level Packs are on the horizon (fingers crossed for Teen Titans and Beetlejuice!) and can’t wait to explore more new areas in the Shard. Look for more hands-on reviews as they fall into my… hands.